Living in Cornwall is great for enjoying an active lifestyle. Whether surfing, running or rowing is your thing, there is sport enough for everyone. But for some people (myself included) a weekly work out just isn’t enough, they want a goal to work towards, to train for and to recover from. That’s where extreme challenges come into play. This summer, Healeys, Cornwall’s longest standing cyder producer, is holding the first Rattler Run. This mud run and music festival joins a number of other events across the county that are designed to test your mettle. 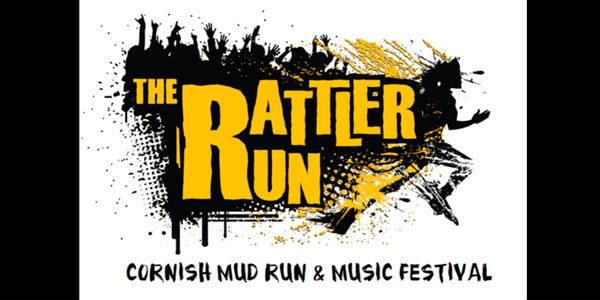 The Rattler Run is an all-action, family-friendly weekend taking place over the August bank holiday weekend at Tregoninny Farm near Truro. There will be a full weekend of camping, running, music and fun. The weekend focuses around an off-road endurance run on Saturday 23 August through trees, tracks and rivers. Joe Healey, Commercial Director at Healeys, is a keen endurance athlete and has helped design the natural course through trees, tracks and rivers. Joe said: “The Rattler Run is designed to test your physical and mental strength. The course is approximately 8km and includes plenty of hills. We’ve used the natural environment and terrain to create a series of obstacles. Competitors can enter solo or in teams completing five laps of the course, which is the equivalent distance to a marathon. Alongside the main event, there will be an after-party with live music and plenty of Rattler cyder. On Sunday there will be a series of shorter running races including a Cani-x with dogs and a children’s under 12 race. Where: Tregoninny Farm, near Truro. When: 22 to 25 August 2014. Cost: Early bird tickets are currently on sale with entry for a team of five costing £150, including three days camping, music, and the marathon mud run. Children under 12 are free and there are various options for those looking to camp and attend the music or simply to enter races. How to enter: Visit thecornishcyderfarm.co.uk/rattler-run. Here’s our pick of what other extreme challenges are on offer across Cornwall this summer. The question is, are you tough enough? The Big Swim is organised by Sharp’s Brewery and raises money for local charities. The swimming takes place between Port Gaverne and Port Isaac and includes camping and live music on the beach. The event is split into different races depending on your ability. There is a three mile Super Serious Swim, a one mile Serious Swim, a one mile Not So Serious Swim and a 200 yard Little Swim. For those really looking to push themselves, there is a triathalon which includes a five and a half mile cross-country run, a mile swim and a 3.2 mile kayak. Last year’s event raised £13,000 and this year’s beneficiaries include: Little Harbour Children’s Hospice, Cornwall Air Ambulance, Port Isaac RNLI Lifeboat Station, Port Isaac Coastguard, and The National Lobster Hatchery. Where: Port Gaverne and Port Isaac, North Cornwall. When: 16 & 17 August 2014. Cost: Prices range from £12 to £48 for the Triathalon and vary depending on the distance in question. 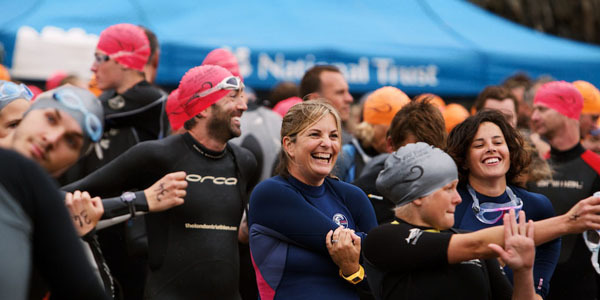 How to enter: Visit thebigswimcornwall.co.uk. Described as an extreme obstacle course set against the backdrop of the beautiful Cornish countryside. The race is taking place on Sunday 25 May on the bank holiday weekend and consists of over 30 natural and man-made obstacles over 12km of coastline, woodland, farmland and the icy cold Cornish sea. 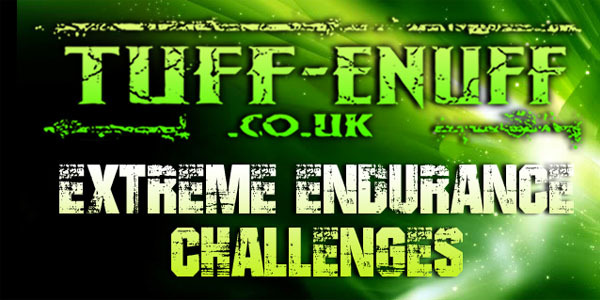 Tuff Enuff is designed to test your strength, stamina, fitness and nerve. There will also be an Apocalyspe after-party with DJs and music from Black Friday. Where: St Buryan, near Penzance. When: 10am – 5pm Sunday 25 May. Cost: 12km course – entry for a team of six is £210, individuals are £39. 5km course – entry for a team of six is £156, individuals are £29. How to enter: Visit tuff-enuff.co.uk. 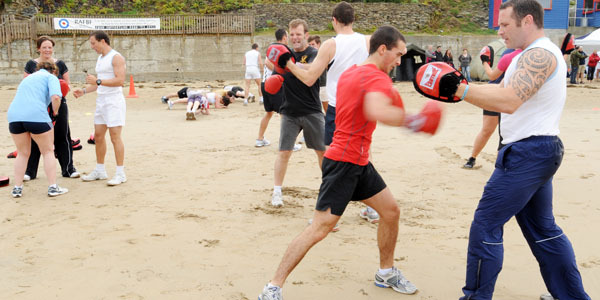 As part of their busy events calendar, the Extreme Academy is hosting two RAF Charity Beach Fitness days this summer. Taking place on Saturday 14 June and Saturday 17 August, a team of motivated physical training instructors from RAF St Mawgan will put the public through their paces. The session is designed to cater for all fitness standards, providing a safe and challenging work out. Spaces are limited and all proceeds will go to SSAFA (Soldiers, Sailors, Airmen and Families Association) and Surf Action. When: Saturday 14 June | Saturday 17 August 2014. Cost: The event is free; however participants are encouraged to donate what they feel the session was worth. How to enter: Email [email protected] or call 01637 857565. Not for the faint hearted, The Beast of Cornwall is described as Cornwall’s only long distance surf triathalon. 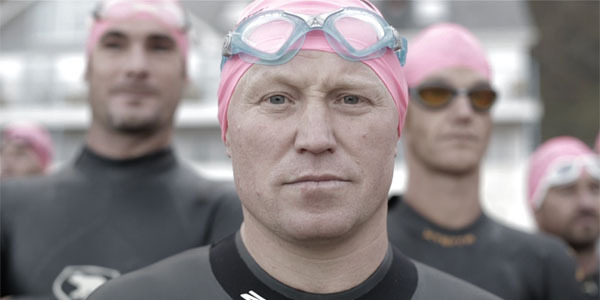 Organised by Cornish based charity Tempus who run the Cornish Triathalon series, this is their flagship event. The course involves a 3.8 km sea swim, a 181.7 km cycle and a 43.3 km road run, with a maximum 17 hour time limit for completion. The event takes place from Newquay’s Barrowfields, with competitors setting off for the sea swim at Tolcarne Beach and running and cycling on a route around out to Goonhavern and around the town where local support will help spur on athletes. The cost is organised incrementally with a reduced rate for the first 100 competitors to sign up. It is also possible to sign up as a relay team. Where: Tolcarne Beach, Newquay, Cornwall. When: 5am, Sunday 6 July 2014. How to enter: Sign up via tempusleisurebeast.org.uk.